Welcome to my 98th gems post. 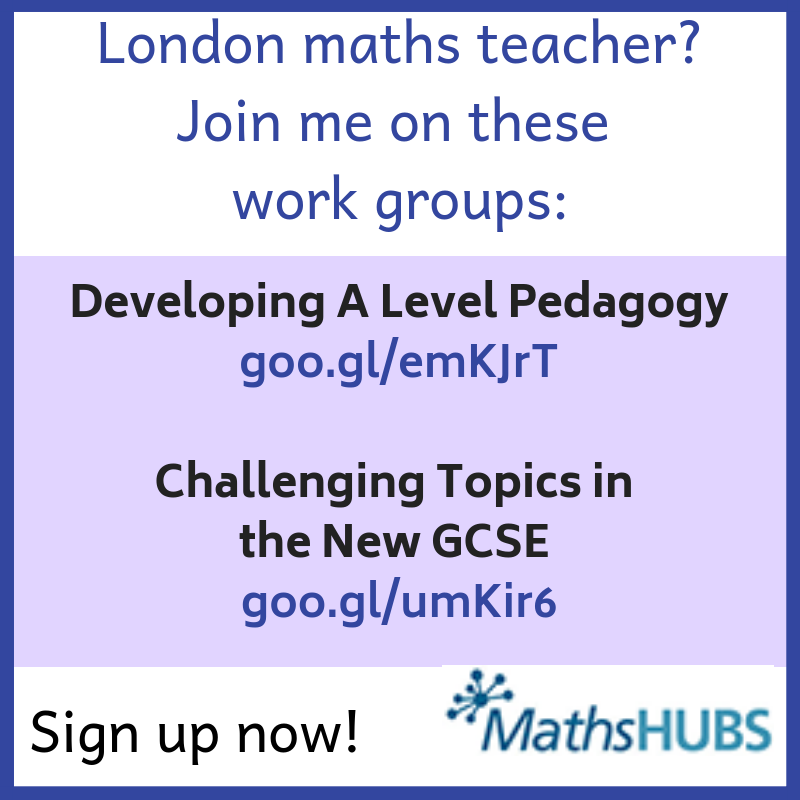 This is where I share some of the latest news, ideas and resources for maths teachers. Thanks to @MrNiksMathClass for sharing a nice activity in which students apply their knowledge of area formulae. 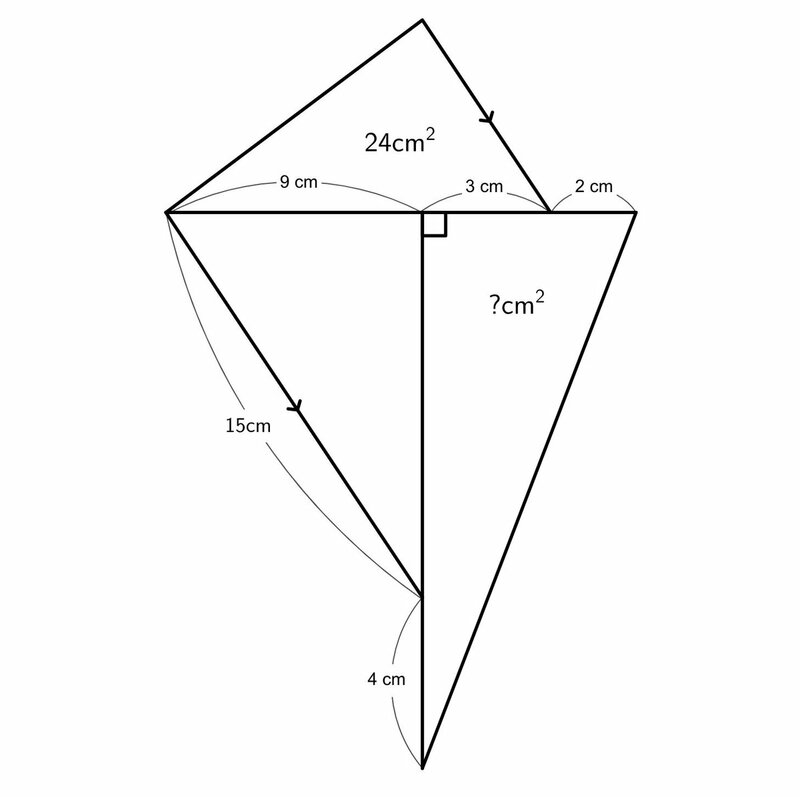 John Rowe (@MrJohnRowe) shared a new set of triangle puzzles which are inspired by area mazes. They can all be solved without using fractions or decimals. 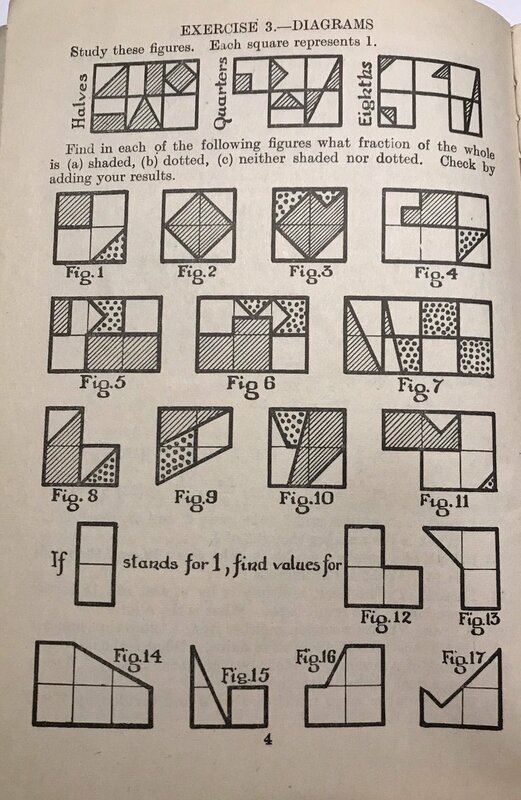 Thank you to Gillian Mathewson (@gmathewson1) for sharing a standard form variation grid. 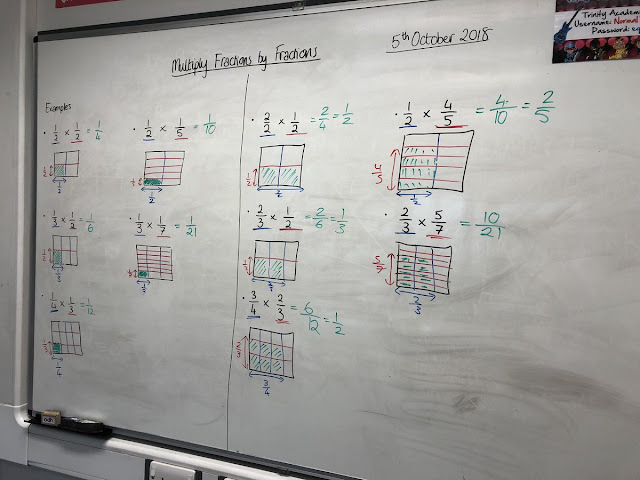 I like the way students convert to expanded form before converting to standard form - it's a good check that they really understand what's going on. 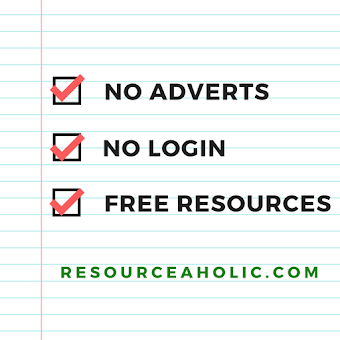 I've added this to my number resources library. Mary-Kate Connolly (@MKConnolly1991) shared a picture of her board which shows how she explains fraction multiplication. Note the use of colour to support the explanation. 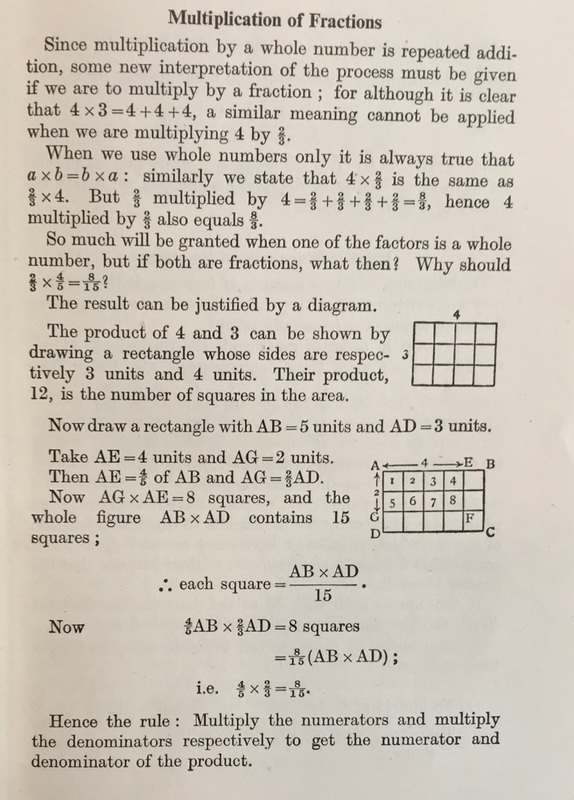 Here's the same approach explained in 'Polish Up Your Mathematics’ by Fawdry which was published in 1945. If you have Year 11 mocks coming up (I'm marking them at the moment!) 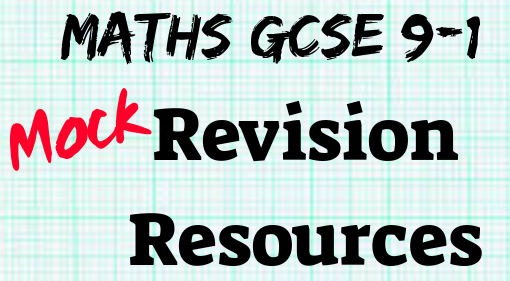 then don't forget that I published a mock revision blog post last year. 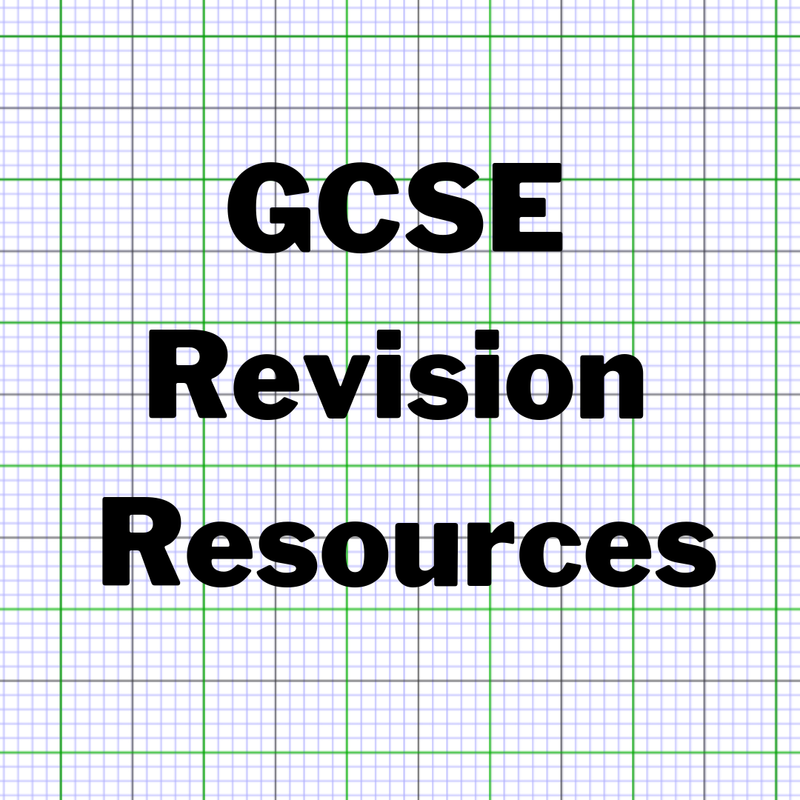 My GCSE 9- 1 revision post might also be helpful - it contains a long list of excellent GCSE revision resources. 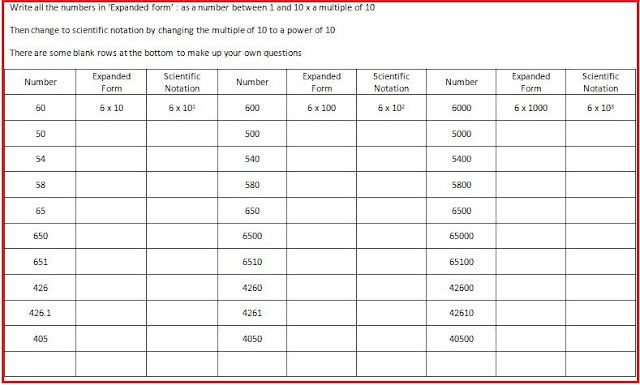 New to my revision page is a unit conversions quiz - this goes alongside the formula quiz I made a couple of years ago. If you want to print personalised booklets for your Year 11s based on their individual performance in mock exams then you'll be pleased to hear that PinPoint Learning has a free trial until 29th January 2019. The June 2018 QLAs are available so if you used these papers for your mocks then PinPoint is all ready to go. In case you missed it, my latest post was on map scale. I wrote about approaches and resources for this undertaught and underesourced GCSE topic. I also wrote 'Turing for the Fifty' which tells the story of the time I worked in banknotes at the Bank of England, and why I am particularly excited that there's an opportunity to nominate a mathematician for the new fifty pound note. 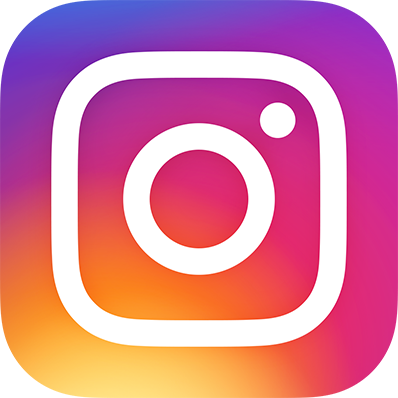 I've set up a new Instagram account to share maths teaching ideas and inspiration so do follow me if you're an Instagram user. 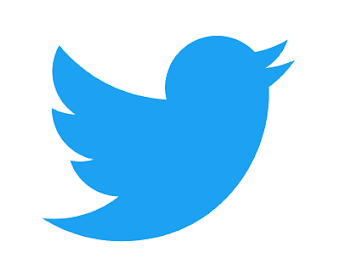 I will still be sharing updates on Twitter and Facebook as usual. 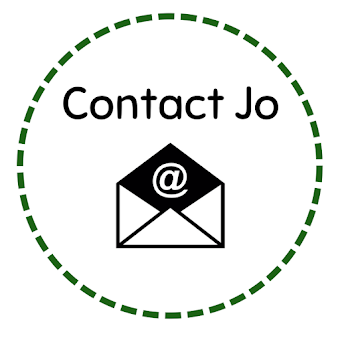 And if you want to get my blog posts by email then you can subscribe here. 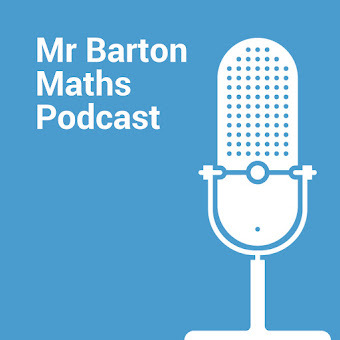 I'm very excited to be approaching a milestone - I hope to publish my 100th gems post in December, and will celebrate by recording a special maths gems podcast with Craig Barton. My resource libraries have been very busy lately - I'm glad teachers find them useful when planning lessons. My Topics in Depth page has also had a lot of visits as a large number of primary teachers have discovered that I have a really useful set of primary packs there. 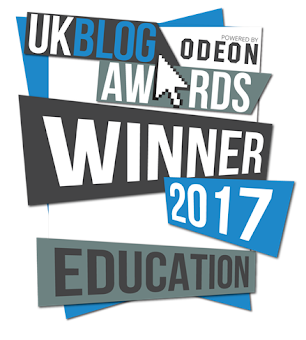 I have been updating my conferences page with new events and my pret homework site with new contributions. 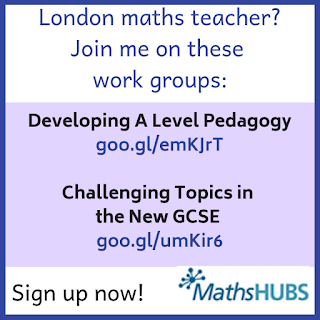 If you're based in London, don't forget to join to one of my Maths Hub workgroups. We already have a large number of A level teachers signed up up for the A level workgroup which is really exciting. 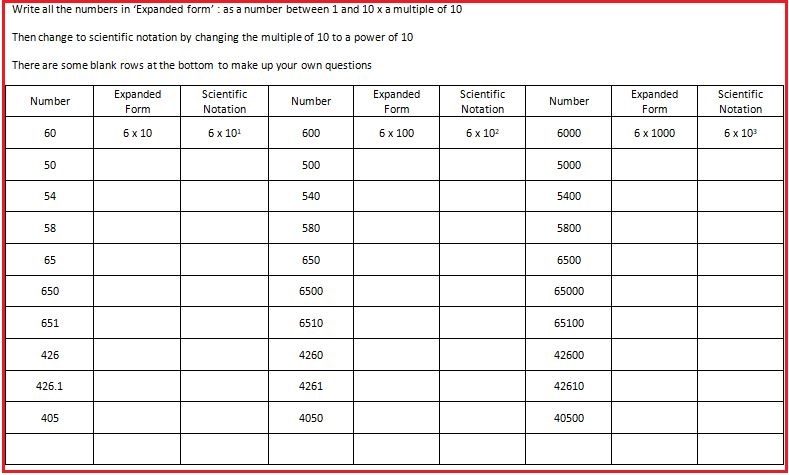 In the GCSE workgroup we will be working on ratio and unit conversions. I have done lots of research into these topics lately so I am excited to share what I've found. Next weekend I'm going to the Maths Jam annual gathering with friends - I can't wait! What a great way to spend a weekend. I'll leave you with this fun fractions activity that I found in ‘Fundamental Arithmetic’ by P B Ballard which was published late 1920s.